For drier conditions, the Michelin Rock’R² impressed us a lot. 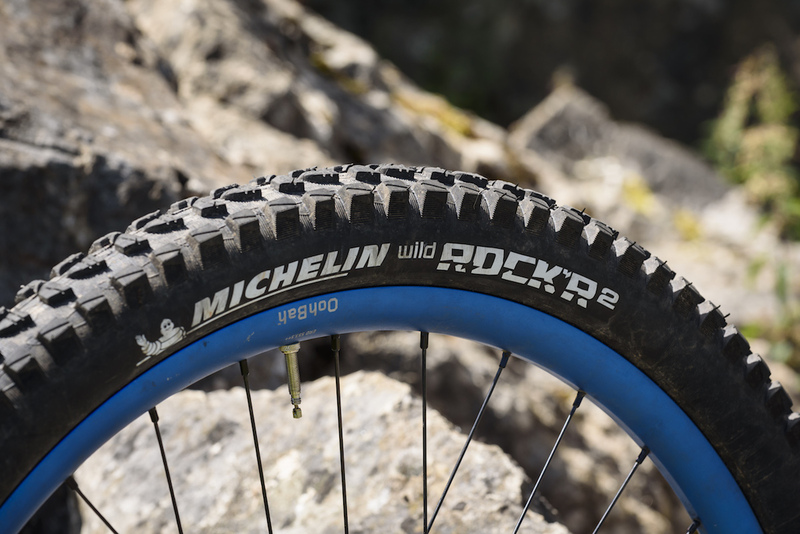 Designed with input from legendary French downhiller turned enduro racer, Fabien Barel, the Michelin Wild Rock’R² is a solidly built tyre for riding hard in dry, rocky conditions. 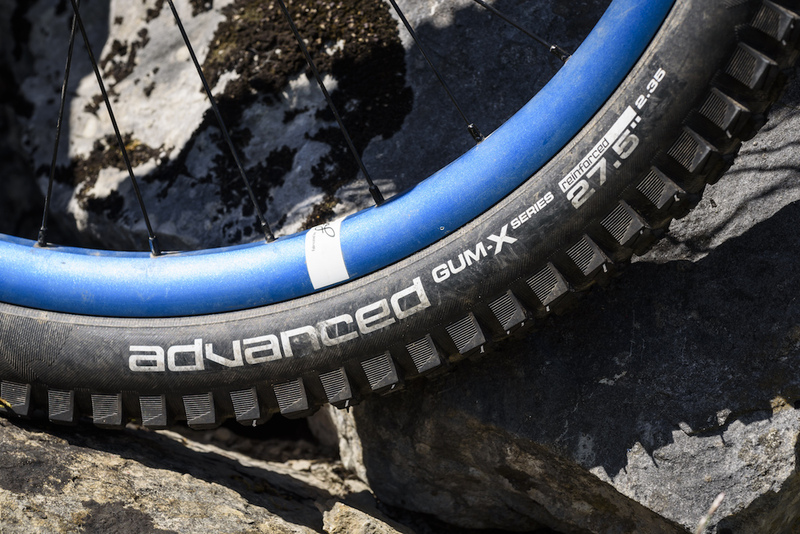 Two versions are available – a softer Magi’X compound, and the ones we have here, with a harder Gum’X compound that weigh in at just over 1kg. 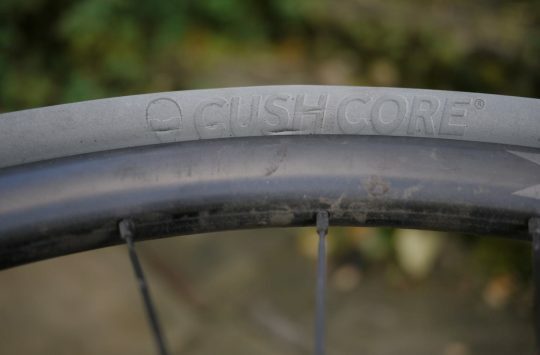 With reinforced and sturdy sidewalls, the tyres are a tight fit, but once on they easily went up first time on a variety of rims (DT Swiss EX471, Spank OOZY 345 and Mavic Quest XA Pro Carbon) using just a tubeless pump and we didn’t suffer any air loss or burp the sidewalls at all during the test. The flat-topped centre knobs give a narrow contact patch with the ground, which goes some way to reducing rolling resistance. But there is no denying the fact that they’re a pretty slow tyre. Then again, the Michelins are unashamedly all about riding the descents as hard as possible, and the extra drag isn’t an issue at all once up to speed and having fun, and is a small price to pay for better grip and the reassurance of a more durable tyre. The tyres offer great climbing traction on most surfaces, and the only place we ran out of traction was on smooth rock steps where we found them quite slippery under power. However, this was an incredibly steep and technical climb that was really testing the limits of both the tyres and the other riders around us too. The flat-topped centre blocks are meant to decrease rolling resistance, but they’re still pretty draggy. 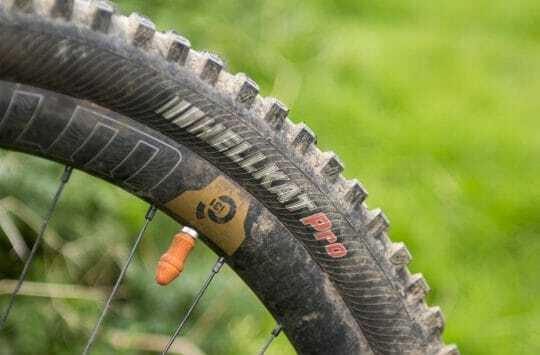 Those huge edging blocks make this a dream tyre for cornering hard and fast. Once you’ve reached the top, you’ll be grateful you dragged the Wild Rock’R² all that way. With its nice big side knobs and beefy casing, you’ve got a tyre that just loves cornering hard – we were able to really crank the bike over to some pretty extreme lean angles in the turns, and when it did eventually slide out, it did so in such a controlled fashion that we were able to hold drifts with ease. 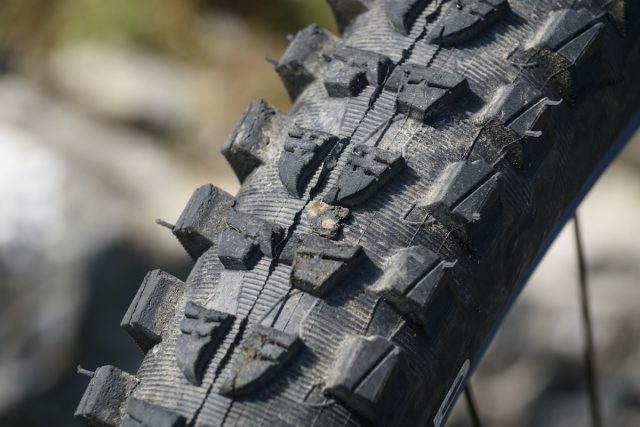 At times we thought they were almost too grippy, as we couldn’t feel the tyre slide at all and were left wondering when it was all going to go wrong. On more than one occasion we were convinced we were going to crash and got ready to bail, only for the tyres to dig in and pull us back upright before racing on to the next corner. If you find yourself having to brake mid-corner, then the Wild Rock’R² copes admirably, and gets you slowed down without any fuss. On smoother rocky surfaces (think well polished steps) they slid about a tiny bit, but as soon as the rock was more natural and had a rougher texture the grip levels returned to normal. 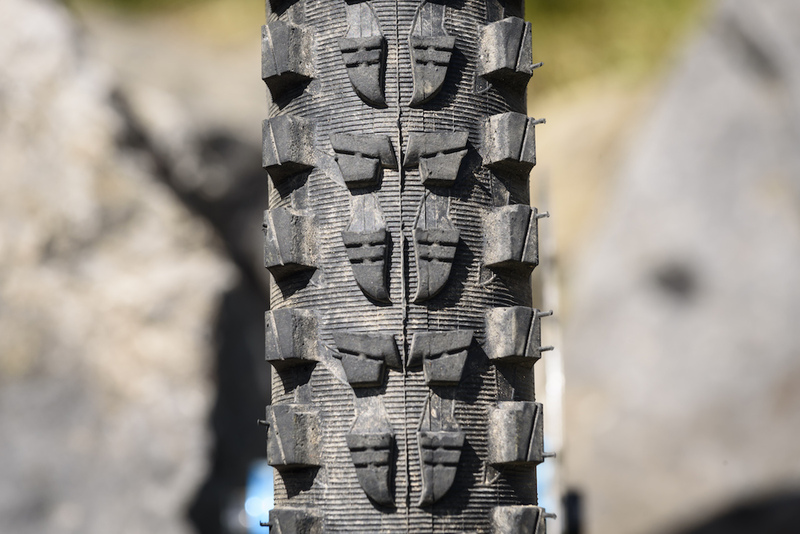 At this point, it’s worth remembering that we only had the harder compound tyres on test – if you need even more grip and control, it would be worth trying the Magi’X compound on the front. 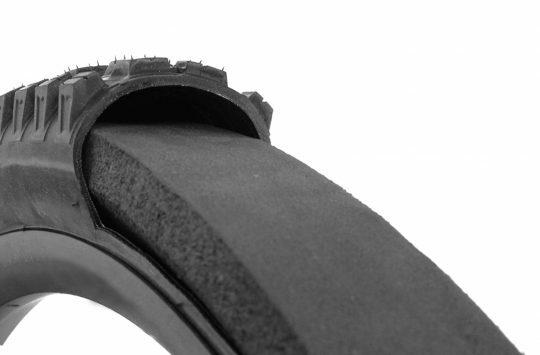 There’s a reinforced casing, and you can have them in the Gum-X or Magi-X compound. Even though they are billed as a dry condition tyre, we had no problems with them in the mud, slop, and over roots or off camber trails – the huge side knobs do a great job of guiding you down all but the steepest and gnarliest trails. On such super-steep trails (think Grisedale Forest off-piste and the wilder trails found in the Tweed Valley), they don’t clear brilliantly, and braking in a straight line is uncontrolled as the flat centre knobs just don’t dig in enough. In a moment of pure bad luck, we managed to put a screw through the rear tyre on one road section, and we put a hole in the front tyre on another occasion, but we were running crazy low pressures (sub 20 psi) when it happened. Both of these issues were easily fixed with tyre anchovies and have been running absolutely fine for the remainder of the test, and the tyres aren’t showing very much tread wear at all. Despite the dry condition label, the RockR² is surprisingly capable in the wet too. Michelin has done a really great job with these tyres. 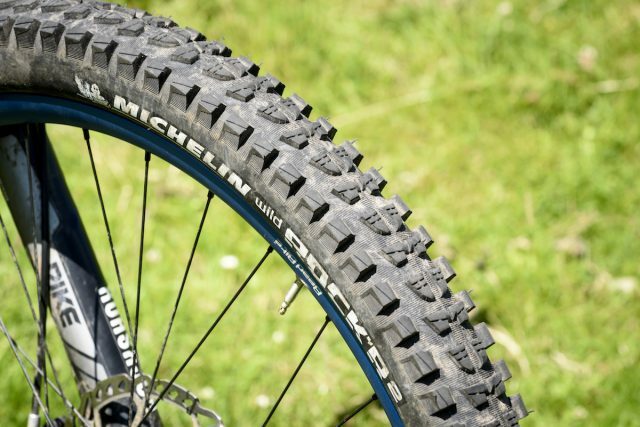 Compared to this tester’s favourite front tyre (Schwalbe Magic Mary), the Michelin Wild Rock’R²s roll faster, corner better and have more grip on roots. They don’t brake quite as well in the damp or on the steeps, but this is really splitting hairs. We’re impressed.